This was a quick study of Lauren as she was sleeping completed in pen and ink. 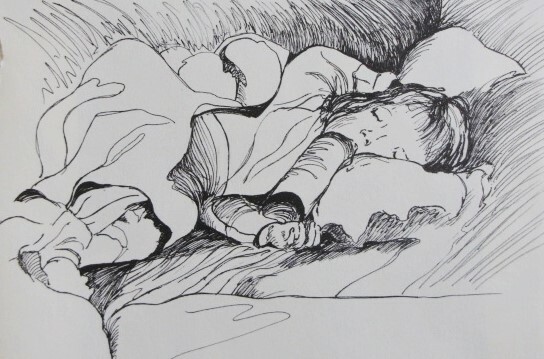 Many years ago I sat and drew my daughter as she slept on the couch. You see, she had moved there from her bed almost on the stroke of midnight on her birthday until she turned three. There was no reasoning with her. The sofa was where she was going to sleep and only there!! She was such a great subject to draw and I made full opportunity of the situation!! You are currently browsing the Drawing in Pen and Ink category at Dr. Mary McNaughton and Drawing.